Electronic Health Record (EHR) use is at the core of MACRA regardless of whether a physician chooses MIPS or APMs. 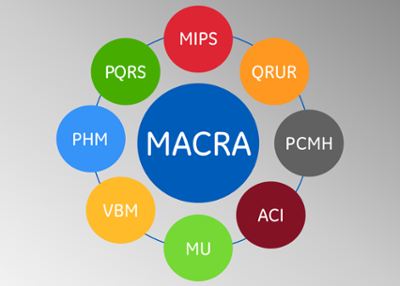 However, to ensure success under MACRA, physicians must confirm whether their EHR vendor provides them with the certified functionality, workflow, and other tools necessary to thrive in a value-based environment. This article explores six questions that every physician should ask when preparing for MACRA. 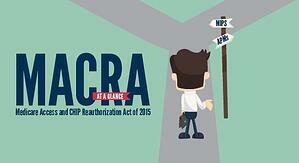 Note: Read the MACRA final rule that CMS released on October 14, 2016. You can also review an executive summary of the rule. 1. What certification criteria does your EHR vendor use? Beginning in 2018, MACRA requires physicians to use technology that has been certified using the Office of the National Coordinator’s (ONC) 2015 Edition Health IT Certification Criteria. For 2017, clinicians can use EHRs certified using either the 2014 or 2015 criteria. Physicians should talk to their vendor now about its plans to adopt the 2015 requirements if the vendor hasn’t done so already, says Michael Marron-Stearns, MD, CPC, CFPC, CEO at Apollo HIT, LLC, a company that provides a range of health information technology and compliance services tied to the advanced use of health information technology. Marron-Stearns says many vendors are in the process of adopting the 2015 requirements and that physicians should inquire when their vendor plans to release a 2015-certified version. 2. How will your EHR vendor help physicians optimize the numerator score for quality measures? The size of a physician’s bonus payment under MIPS depends on his or her performance in each category. To avoid the 4% penalty in 2019, physicians must report at least one quality measure for one patient. They can also engage in one practice improvement activity or submit more than the basic Advancing Care Information requirements. For the measures that require numerator/denominator reporting, the numerator cannot be zero. However, to maximize potential bonus payments in the quality performance category of MIPS, clinicians must report six quality measures including at least one outcome measure (if available) or one specialty-specific measure for a minimum of a continuous 90-day period. If fewer than six measures apply based on the physician’s specialty or subspecialty, then the physician is required to report only on the applicable measures. First, physicians must choose the quality measures from the nearly 300 measures approved by CMS that align most closely with their patient populations and specialty, says Marron-Stearns. Next, they must determine whether their EHR vendor can help them capture those measures appropriately. How must physicians capture each quality measure? For example, does the vendor integrate data capture seamlessly into the physician’s workflow, or must the physician document quality measure data in a separate portion of the record? In most cases, a high numerator score reflects favorably on the physician, says Marron-Stearns. However, there are some exceptions (e.g., number of patients with a poorly-controlled hemoglobin A1C, in which case a lower number is better). Either way, data capture should be an easy and efficient process, he adds. Are there any gaps between current tracking and reporting capabilities for the Physician Quality Reporting System (PQRS) and new measures that take effect as part of MIPS in 2017? If so, what are the vendor’s plans to address those gaps? Does the vendor provide templates to enable better documentation of quality measures? “Just clicking a box to say you did something without supporting documentation is not adequate,” says Marron-Stearns. For example, when a physician checks a box indicating that he or she provided smoking cessation counseling, documentation must also document details such as what was included in the counseling and for how long. Clinicians should ask how their vendor enables this process. 3. What type of interoperability does your EHR vendor provide? Although the cost performance category has a zero weight in 2017, it increases to 10% in 2018 and then 30% for 2019 and beyond. CMS will determine performance in this category based on claims data, including data for patients who are admitted to the hospital. For this reason, physicians should try to avoid unnecessary admissions at all times. Being able to communicate with the emergency department is one example of where interoperability can pay dividends under the MIPS program. Why is interoperability important in terms of cost management? Interoperability is critical because it allows physicians to better track and coordinate patients’ care—thereby keeping them healthy and out of the hospital, says Marron-Stearns. For example, when a community-based physician uses an EHR that’s interoperable with a hospital emergency department system, the emergency department physician has access to information that can potentially prevent readmissions, reduce testing duplication, and improve outcomes. This is particularly helpful for chronic and resource-intensive conditions such as coronary artery disease, diabetes, hypertension, chronic obstructive pulmonary disease, and asthma. Marron-Stearns suggests asking your EHR vendor whether it has developed an interface with the CommonWell Health Alliance, a not-for-profit trade association of health IT companies working together to create universal access to health data nationwide. This is a good starting point for interoperability, and it indicates your vendor’s commitment to information sharing, he adds. Does the vendor have features and functionality in place to support ACOs and other advanced APMs? If so, describe these features in detail. With what advanced APMs has the vendor worked previously? Which ones does it work with currently? What’s the vendor’s general strategy for working with advanced APMs? 4. Does your EHR vendor enable patient engagement? In addition to asking your EHR vendor whether it can satisfy all five base and performance advancing care information requirements, consider inquiring about patient-generated data as well. For example, can your vendor integrate data from wearable fitness devices? This may be useful in terms of engaging patients with the portal and improving outcomes—but only if the practice has the staffing and a plan to review this data regularly, says Marron-Stearns. Some practices may be able to incorporate this function into their chronic care management programs without having to burden physicians, he adds. 5. What type of data analytics tools does your EHR vendor provide? If your vendor isn’t able to do provide this type of data analysis, does it allow third-party applications to access data through an API for this purpose? The ability to perform complex data analysis is important in terms of improving outcomes and reducing cost, says Marron-Stearns. “CMS is going to look at how much is spent on your patients compared to a national average following risk adjustment,” he adds. 6. How does your EHR vendor enable greater efficiency? EHR compliance is—and always will be—a number one priority in MACRA and beyond. Your vendor should help you take proactive steps to maintain compliance and avoid auditor scrutiny as well as prepare for MACRA and other value-based initiatives that will likely follow.